“This is the first time I’ve met a couchsurfer” I said nervously. I think they are just as nervous as I am! Phew! Ok, this should be a breeze then. Turns out the two cousins are still on their winter break from school, so they have time to show me around the city! We continue to exchange personal details about each other. Natalia wanted to practice her English speaking, which I happily obliged to participate. Mónica’s english is perfect even after two or three beers. The mood is light and any fears of being murdered or robbed float away with my sobriety. The next morning I wake up to the sound of giggling. Looks like the girls are up! I get up and get dressed. Today they are going to introduce me to some typical Colombian breakfasts. On the menu are Changua and Caldo de Costilla. Simply put, Changua is a soup made of milk, eggs, and bread. The milk gives it a sweet taste, while the eggs are hard poached inside. Extremely filling because of the protein and bread. 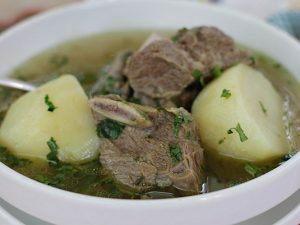 Caldo de Costilla is another soup, this time made with beef ribs, potato, garlic, and cilantro. Something I would traditionally eat for lunch or dinner, not breakfast. For the next three days I spent every waking moment with these two amazing women. 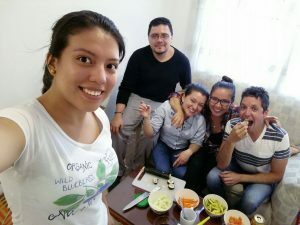 They introduced me to their families, took me out partying, and taught me so much about Colombian culture and the Spanish Language. This is what travelling is all about. Getting to live like a local for a bit and to understand why a certain culture is the way they are and how they think. I’ll never forget the hospitality that was shown to me. If I’m ever sad, I will just remember Natalia’s laugh and it will put a smile on my face. We part ways and I check into my new hostel: El Pit Hostel in La Macarena neighbourhood. 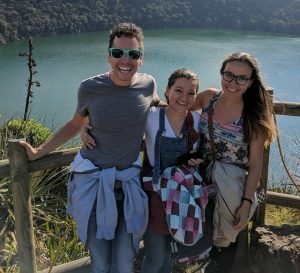 I highly recommend anyone staying in Bogotá to spend a few nights here. Failing that, show up for lunch! The place is owned by chefs and they serve a three course lunch to the public for $16,000COP. It never disappoints. 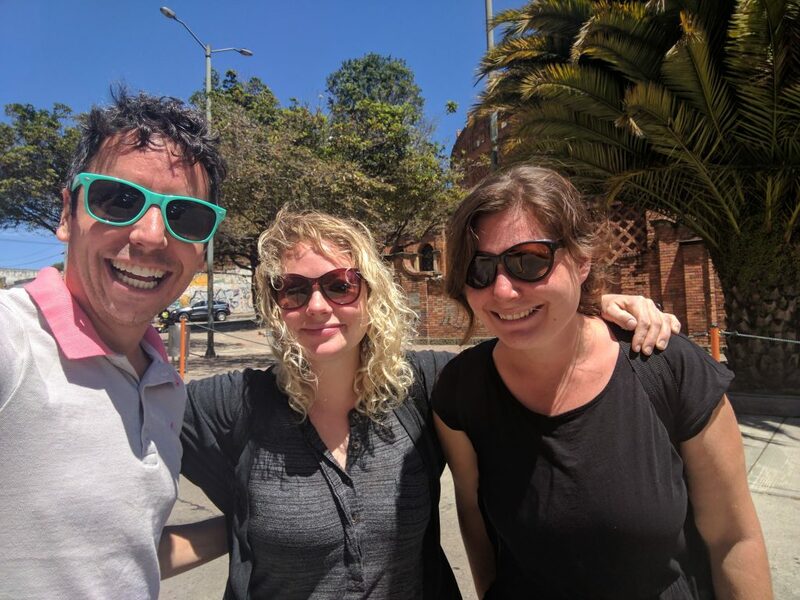 This is where I came across two new people who shaped my visit to Colombia: An Austrian and American. What could possibly go wrong when you throw those two plus a Canadian into the mix?